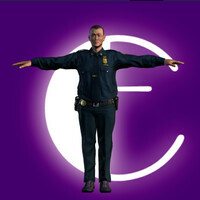 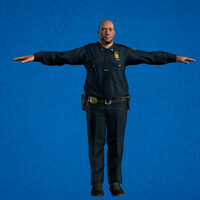 3D Model of a French policeman. 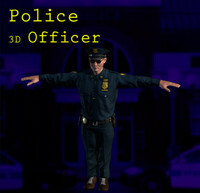 High quality model which also includes a baton and a simple scenario. 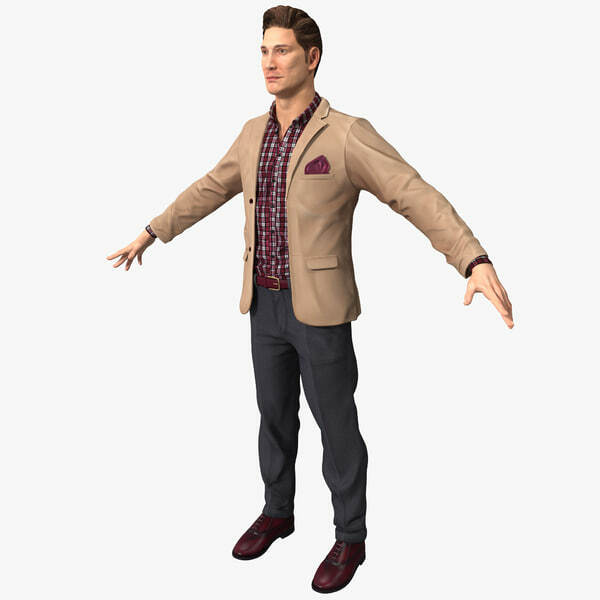 This package contains a complete character with basic animations for Unity 5.4.0 or superior.. 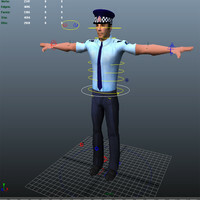 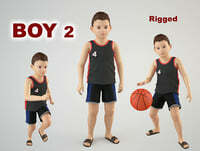 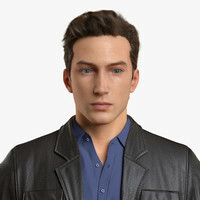 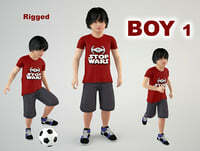 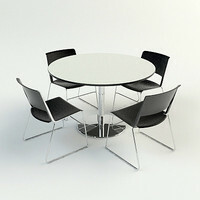 The character is also included in 3D Studio Max and FBX format to be used in other applications. 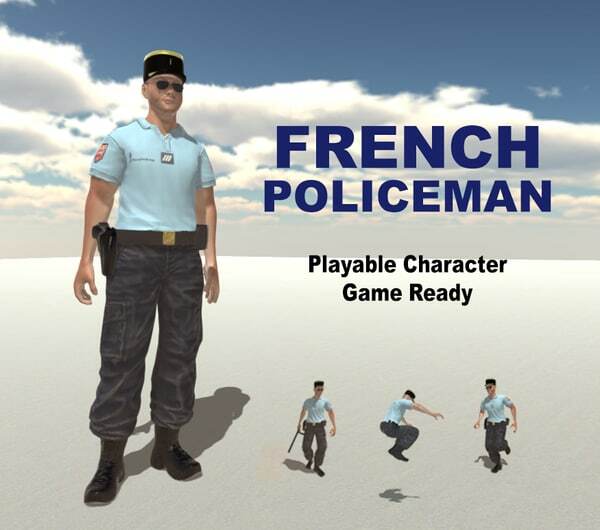 Character designed as a playable armed man for first person and third person games.